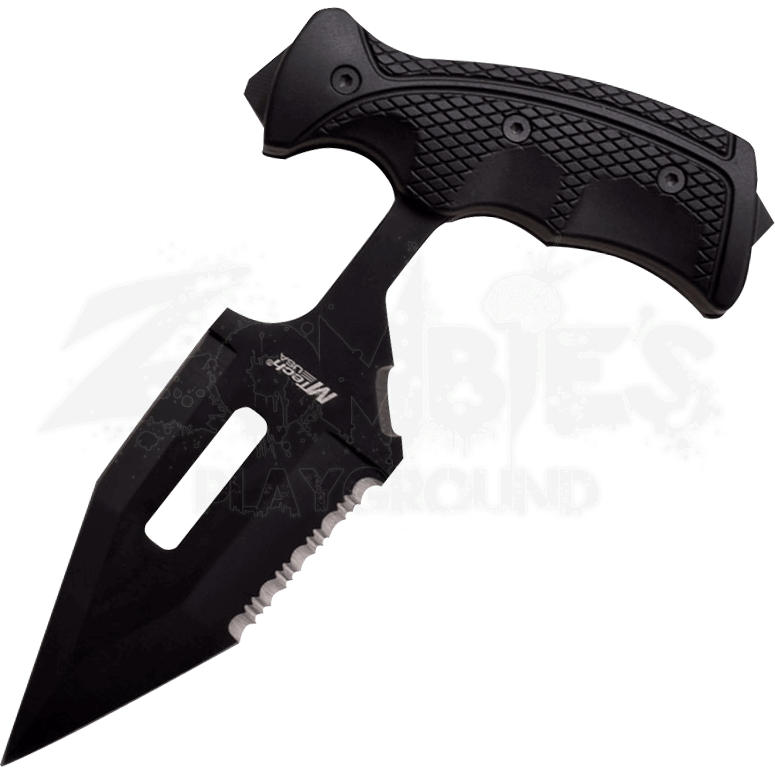 With a blade that is more than five inches long, the Tactical Black Push Dagger is a combat weapon that will be sure to intimidate your opponent. Ward off any attacker who has the audacity to challenge you with this spear point blade. Constructed from stainless steel, this punch blade becomes an extension of your fist that is designed to pierce your attacker with maximum damage. The rubber pistol grip handle sits firmly in your hand as your hand flies forward, keeping you in control throughout the duel. Perfect for self defense, the Tactical Black Push Dagger is a weapon that will keep you prepared for combat, while small enough for day to day transportation in its protective nylon sheath.